The next time you cook this bright orange gourd, you’ll know how to bake and roast butternut squash depending on what your recipe calls for. Butternut squash adds a vibrant color, interesting texture, and a delicious stand-out flavor to any dish. 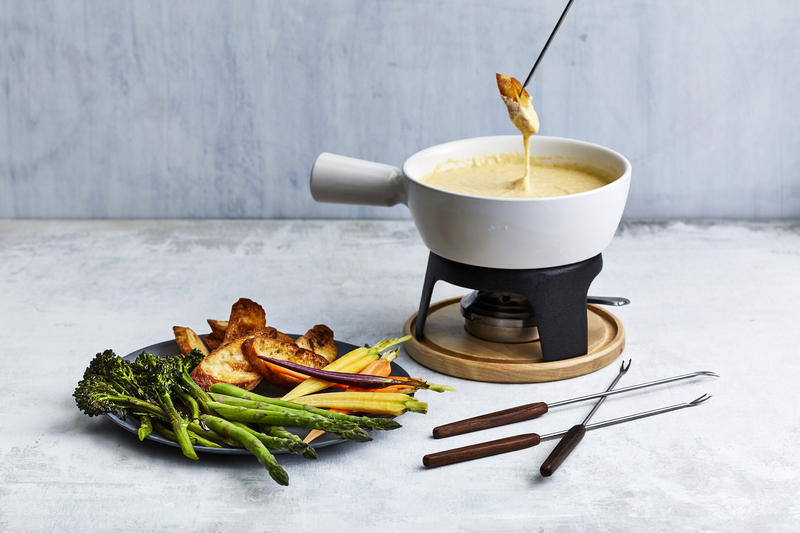 Whether serving it as a simple side or making it the highlight of dinner, we love cooking this nutritious veggie (especially because it’s available year-round). Most recipes say to either bake or roast butternut squash—but what’s the difference? While both cooking methods will turn the tough, raw gourd into a soft, sweet ingredient, roasting a butternut squash is the more common process for achieving browned, crispy edges and a creamy interior. Baking and roasting are two common, but different methods of cooking food in an oven. Baking is done at a lower heat for a longer period of time, typically between 325°F-375°F. 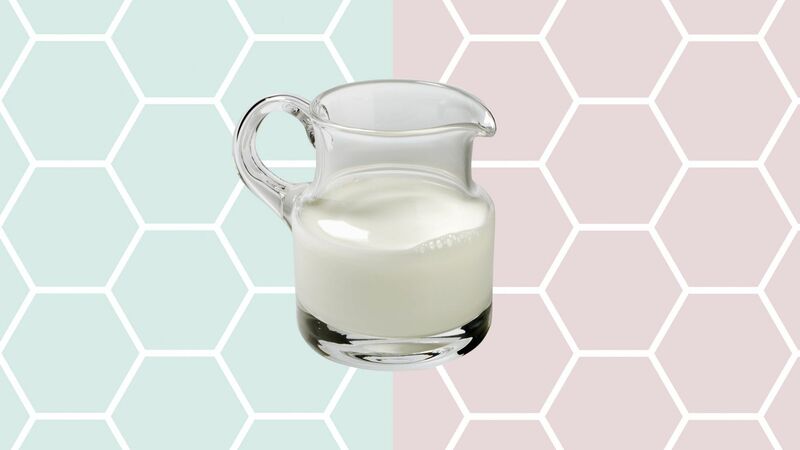 This method evenly cooks food throughout and is typically used for cakes, cookies, and bread. 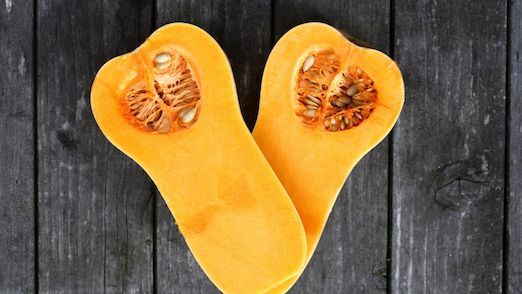 Baking butternut squash is the best method when you want to evenly cook two whole halves as they will become soft on the inside without burning on the outside. To bake butternut squash, coat two cored butternut squash halves in olive oil, salt, and pepper. Lay them on a baking sheet and cook at 350°F for 60-75 minutes, until the flesh is tender and can be pierced with a toothpick. If you’re prepping dinner in advance and have time on your hands, baking butternut squash is an effective choice. Baking butternut squash should be done if you want to then turn the soft flesh into a puree or butternut squash soup; the texture will be smooth, sans stringy brown bits, and the nutty, sweet flavor will be particularly pronounced. 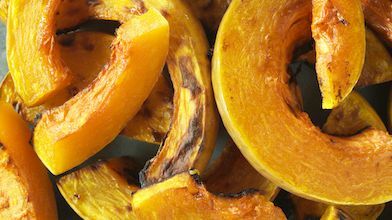 Butternut squash that is charred and crisp on the outside and perfectly tender on the inside is best achieved by roasting it quickly. Roasting means cooking an ingredient at a higher heat, usually between 425°F-450°F, for a shorter period of time. This is the best method for caramelizing meat or veggies that have a crispy, caramelized exterior, tender interior, and noticeable nutty notes. Small dices of roasted butternut squash are perfect in a dish like tortellini with butternut squash, mushrooms, and fontina. Butternut squash should be peeled prior to cooking as the skin is tough and lacks flavor. Grocery stores do sell peeled and pre-cut butternut squash, which saves you time. However, it’s cheaper and more eco-friendly to do all the prep work yourself. 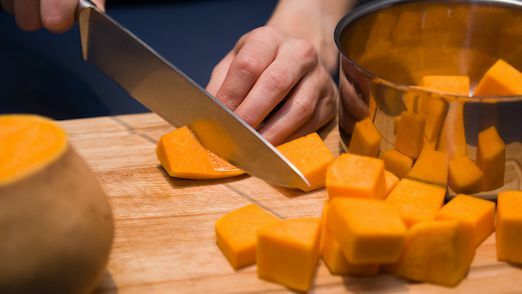 Since butternut squash is one of the toughest vegetables to cut through, it’s very important to use the sharpest chef’s knife you own (click here for a tutorial on how to sharpen a knife). Once you’ve got a sharp knife, follow our full guide for how to cut a butternut squash. Be sure to scoop out the seeds from the core, then slice, dice, or roast whole for a nutty and sweet side dish. Baked butternut squash shines in this baked barley risotto, which softens the squash and onions before they get cooked fully in a Dutch oven. For the best of both worlds, try this twice baked butternut squash recipe, which involves completely baking two squash halves before creating a mixture of butternut squash, sweet potatoes, and three kinds of cheese, then broiling for a caramelized crust. Roasted butternut squash puree and roasted pork chops and butternut squash are two classic takes on this vitamin A-rich veggie. 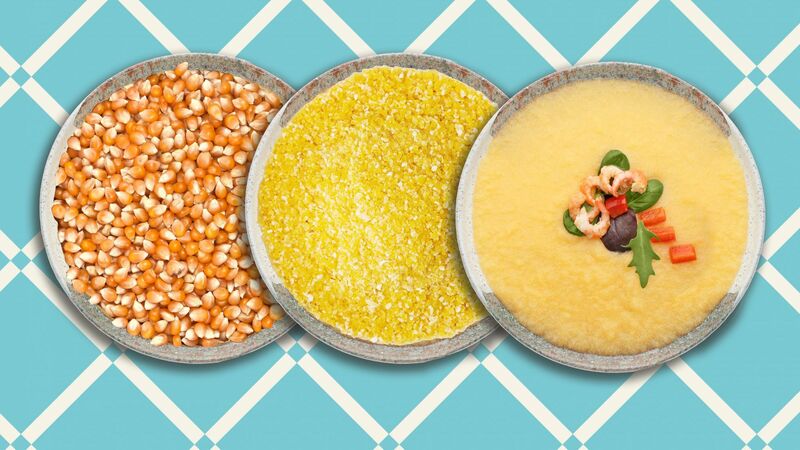 So What Is Cornmeal, Anyway?